There actually isn't anything to report for this coming week so we have the final catch up of new notices received over the last week or so, including the new Stagecoach Plymouth services won under tender. Most of these are Target Travel routes although the 14 was formerly Plymouth Citybus. There are also a few Devon services for Country Bus and Dartline and Travel Cornwall 493 to look forward to. The last few weeks of the 52 under Target Travel is more often than not provided by one their double decker's with HXZ9741 being a regular. Do we know who's taking on the Target Travel service 59 between Plymouth, Plympton, Sparkwell, Cornwood and Bickleigh? Not yet. 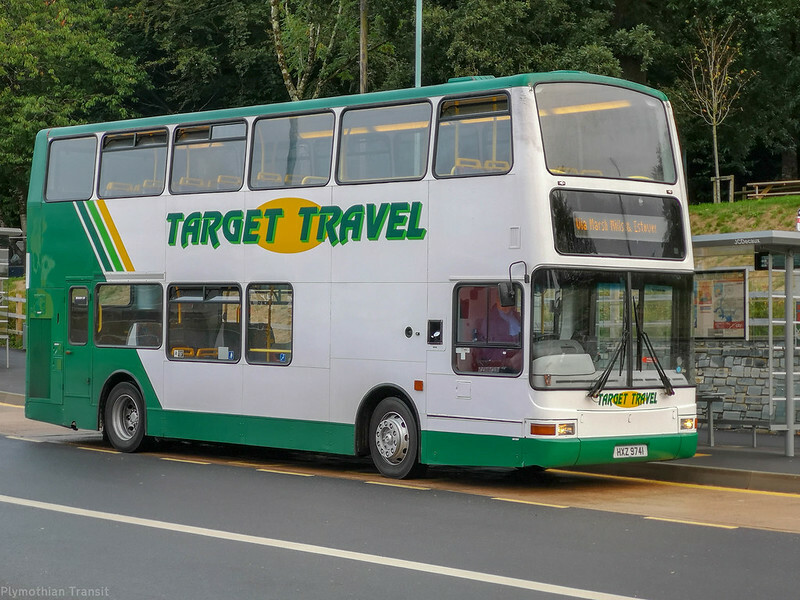 This and other Target Travel routes operating beyond the City of Plymouth were retendered by Devon County Council and the new operator(s) have not yet been announced. I notice 52 timetable has no services arriving at Derriford before 9am with all earlier services just doing a loop around Plympton. Hopefully the revision will correct this!! All Targets Devon County Tenders are showing as Cancelled on VOSA today .